Not since I was an avid child reader has a novel kept me reading into the small hours, and then had me burst into tears at the climax of the novel, set in the tunnels under no man’s land. 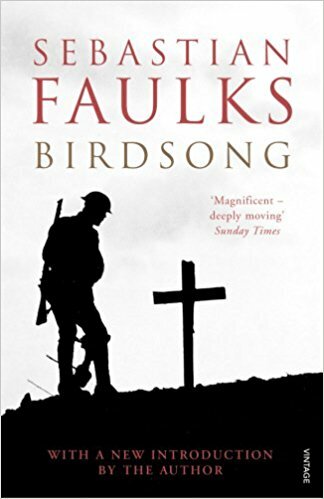 Many novels have been set in World War 1, many have had romances set against wartime, and some have tried to show the personal, human cost to each country involved in those wars; but none have affected me as Birdsong has. The son of an English family is sent to spend some time with a German family they have a connection with, and he falls for a daughter of the house. Of course, in the times, they are separated, and in turn this son becomes a soldier for King and Country and is sent to the hell that was the Front, in a war against a people he remembers fondly. There was a recent BBC TV series made from this book, but for me the book is so much fuller and had an emotional impact like few other reads. The claustrophobia of tunnel life and the personal loss and cost of war has never been portrayed so vividly.